The Summer's Not Over - Stay Cool! Just because we are back in school, it doesn't mean the summer is over!! The next few weeks are going to be HOT which causes your valuable equipment to work harder. Our vision and job is to keep our clients comfortable. Get your preventive maintenance done. If you are too hot or too cold just give us a call!! Are your ice machines due for a cleaning or filter change? 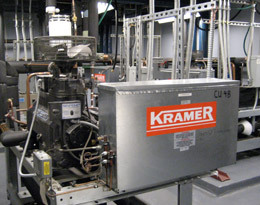 Is your refrigeration keeping proper temperatures? Are your wine coolers keeping proper temperatures? Are they due for a filter change?